On January 14, 2015, how do i buy doxycycline safe place to buy viagra online uk CNN Money reported that “Nearly 8 out of 10 U.S. Taxpayers Get Refunds.” The story reports that according to the most recent IRS data, the average refund was roughly $2,800. This practice has always baffled me, but my own clients have proven it to be true. When I meet with new clients among the documents they provide are their income tax returns for the two most recent filing years. 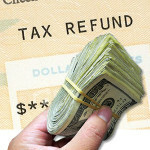 In reviewing these returns, it is very common to see tax refunds of several thousand dollars. I find this an odd phenomenon because The Wall Street Journal recently reported that 70% of Americans are living paycheck-to-paycheck, regardless of their level of income. The idea that Americans are financially strapped was further supported in a report entitled “Stress in America,” where the American Psychological Association revealed that 54% of Americans say they have “just enough” or “not enough” money to make ends meet at the end of the month. While it is very important to acknowledge that people who overpay their taxes are giving the government an interest-free loan, it’s perhaps more important to acknowledge that they are denying themselves access to an average increase of $233 ($2,800/12) per month in cash flow. It occurs to me that if such a large percentage of Americans are living life that strapped for cash, a $233 per month increase in your monthly cash flow could provide some obviously needed breathing room. I must admit that in the years when I’ve received a tax refund it felt good to have that unexpected lump sum of money, but when I stopped to think about it, I realized it would have benefitted me more to have the extra few hundred dollars on a monthly basis. The CNN Money story goes on to say the two most common things people did with their refund was pay bills and make big-ticket purchases, such as buying a car or paying for a vacation. Absent from the list, however, was using the money to bolster their savings. USA Today recently reported that 76% of Americans have less than 6 months’ living expenses in emergency reserves and 24% have NO reserves at all. 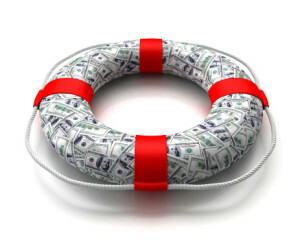 Without an emergency reserve, if a sudden disruption in household income were to occur, anybody is 30 to 60 days away from a late payment on their credit report, and 90 to 120 days away from a Notice of Default and foreclosure, which will negatively impact both their credit score and credit history. How would missing even one paycheck affect your household finances? Something else to consider is that without an emergency reserve, many people, whether knowingly or not, use credit cards as their emergency reserve. That is a recipe for disaster. In many cases, it is how people first get into credit card debt. We all have unexpected and unbudgeted expenses. It is our responsibility to be prepared for them when they happen, and they will happen. It is these types of financial inefficiencies that can cost us countless thousands of dollars and we are experts at identifying them, as well as reducing or eliminating them. Call us and let us help you improve your monthly cash flow.